The BMW Concept 8 Series is a preview of the new BMW 8 Series Coupe, slated for launch in 2018. 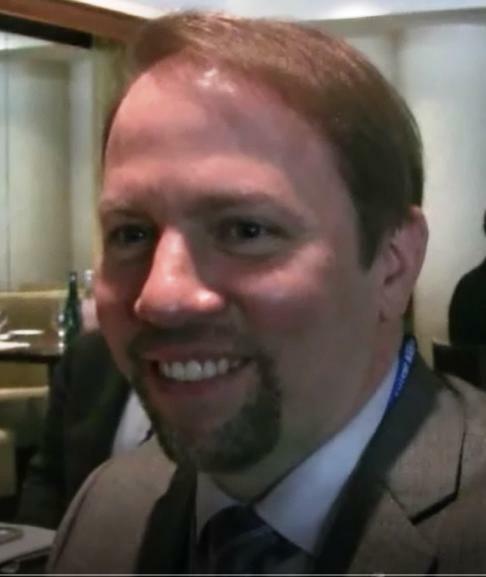 James Kuffner, Chief Technology Officer at the Toyota Research Institute in Palo Alto, California, discusses Toyota's role in developing autonomous self-driving cars with automotive journalist Richard Saxton. Kuffner led Google’s robotics program until joining Toyota In January of 2016. The new BMW M5 with the M xDrive system, powered by a twin-turbocharged 4.4‑litre V8 engine mated to an eight-speed M Steptronic transmission, has a rear-biased set-up that only brings the front wheels into play for additional traction when the rear wheels aren’t able to transmit any more power to the road. Every time the engine is started, the BMW M5 defaults to 4WD mode with DSC on and then the driver can choose from five different configurations based on combinations of the DSC modes (DSC on, MDM, DSC off) and M xDrive modes (4WD, 4WD Sport, 2WD). The all-new 2018 Volvo XC60 will be available with a 250 horsepower T5 turbocharged gas engine that starts at $41,500, a 316 horsepower supercharged T6 turbo that starts at $44,900, and a 400 horsepower T8 Twin Engine Electric Plug-In Hybrid with electric all-wheel drive that starts at $52,900. Customers configure their vehicle online at volvocars.com/us or order from their local Volvo retailer with the first vehicles arriving this Fall. The new 2018 BMW 230i, powered by a 248 horsepower twin-turbo 4-cylinder engine, and M240i, with a 335 horsepower twin-turbo 3.0 liter 6-cylinder engine, will be available in the U.S. as Coupe and Convertible with or without xDrive, BMW’s Intelligent All-Wheel Drive System and come standard with an 8-speed Steptronic Sport transmission while the new BMW M2 Coupe offers a 6-speed manual transmission and optional 7-speed M Double Clutch Transmission. Pricing for the new BMW 2 Series will be announced closer to market launch in July, 2017. The all-new 2018 GMC Terrain with a choice of three all-new turbocharged engines, leading with a 252 horsepower 2.0L at launch, followed later with a 170 horsepower 1.5L paired with a new nine-speed automatic transmission and an available 1.6L turbo-diesel, will start at an MSRP of $25,970 (including a destination charge of $975) when it goes on sale this summer.